Welcome to Cottages & Bungalows + American Farmhouse Style’s fall destinations planner! For the next seven days we’ll be sending you an email that will be your one-stop shop for all things fall travel from fabulous stays to delicious eats and everything you need to do to take in the autumn glory of these beautiful destinations across America. Embrace the beauty of autumn in the rolling hills of one of New England’s most celebrated regions. Welcome to our Ultimate Fall Getaway Planner! We’ve chosen our favorite locales full of farm-cottage style and for the next 7 days we’ll be sharing the inside scoop—complete with exclusive discounts—to help you have a memorable and beautiful fun-filled stay. 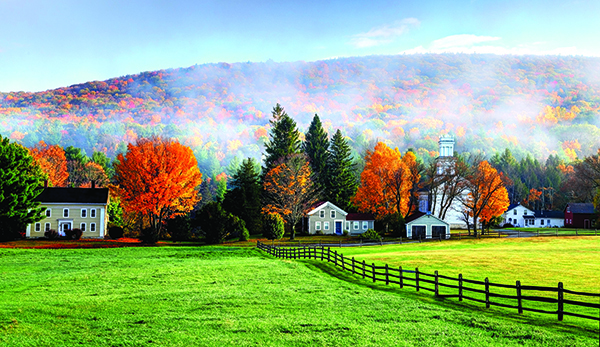 For a dreamy East Coast getaway this fall, look no further than the Berkshires. For decades, this region has been one of New England’s most celebrated vacation destinations. Located in western Massachusetts and known for its year-round cultural attractions and fall foliage, the area is a perfect travel spot. 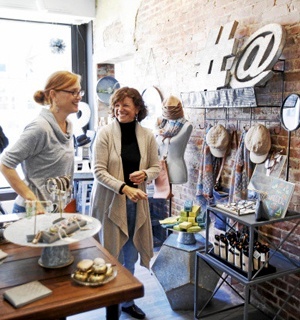 Explore the Berkshires town by town to experience the unique character of each area. Plan your trip for early October to catch the changing colors of the fall foliage at their peak. 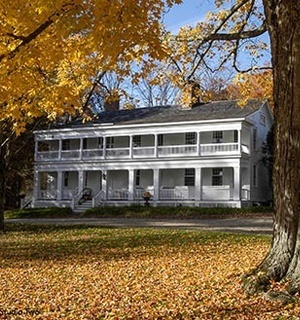 This historic inn sits in the charming town of New Marlborough. 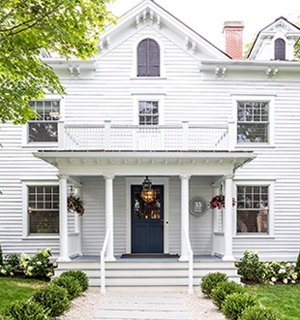 The inn itself used to be part of a stagecoach relay, and “offers authentically restored guest rooms” and “fine dining in intimate candle lit dining rooms.” The Old Inn on the Green is also an ideal home base for a romantic couple’s vacation to the Berkshires. The Holiday Cottage at The Lake House Cottage Resort Looking for a locals- type experience? Rent a cottage instead of a hotel room. This cottage has lakefront and mountain views and can accommodate up to eight guests. 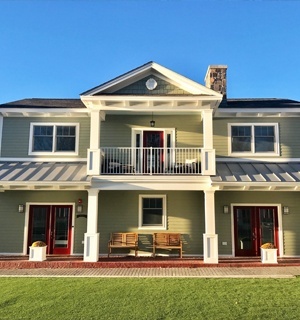 With the added amenities of a fireplace, an in-house kitchen, laundry facilities and an outdoor gathering space, it’s a great place for a family vacation or cozy Thanksgiving away from home. Find The Lake House online or on Instagram. 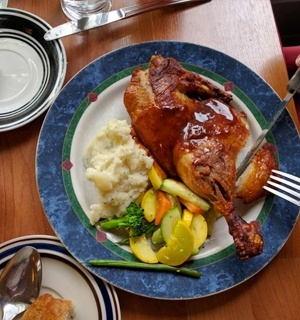 Tucked away off a main street in the town of Stockbridge, this quaint bistro serves up “fresh, locally grown, and hand-crafted cuisine.” The 11-table bistro offers intimate and personal service that makes every diner’s experience special. Plus, the food is delicious. 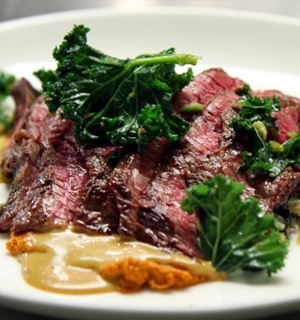 Make a dinner reservation ahead of time to guarantee your local foodie experience. This restaurant in Great Barrington specializes in contemporary American cuisine that highlights local produce. Allium is a hip place for craft cocktails and comfort dishes, all served in the “laid-back elegance of the urban countryside.” To experience warm hospitality, exceptional service, and, most importantly, good food, pop into Allium during your Berkshire visit. 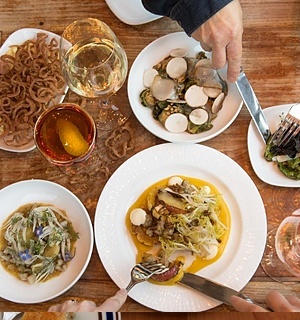 “Inspired by the bounty of local Berkshire farmers,” Nudel is a creative restaurant that serves “seasonally inspired New American” cuisine. Their menu, which focuses on pastas and salads, changes nightly to best take advantage of seasonal flavors. 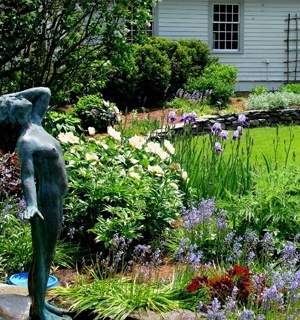 This 15-acre botanical garden is a gorgeous example of the the Berkshire’s thriving environment. With over 3,000 local species and varieties is it’sa gardeners dream and even if you don’t have a green thumb, the natural beauty is awe inspiring. The garden also hosts one of the Berkshire’s most iconic autumn events, The Garden’s Harvest Festival. Held every Columbus Day weekend, the festival offers children’s activities, rides, games, live entertainment and local vendors. Bonus! Use the code BBG18 for $2 off per adult to enter the gardens. Children under 12 are free. For an “unforgettable experience in nature,” spend the day at Ramblewild, where you’ll find an aerial park, zipline, low ropes course and 30 miles of walking and hiking trails. 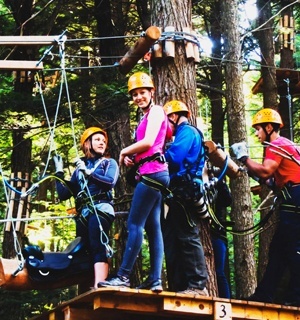 In the scenic mountains of the Berkshires, the Lanesborough adventure park offers outdoor opportunities for children and adults. 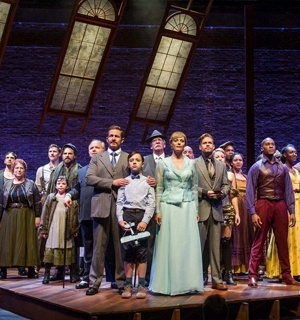 To perfectly round off a culture-filled day, see a play through the Barrington Stage Company. As one of the fastest growing arts venues in the Berkshires, the regional stage company has been increasingly gaining national recognition for their productions. This October, they’re showing The Glass Menagerie, the award-winning play by Tennessee Williams. 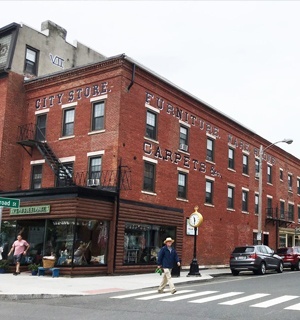 To find a little bit of everything, look no further than Great Barrington’s famous Railroad Street. 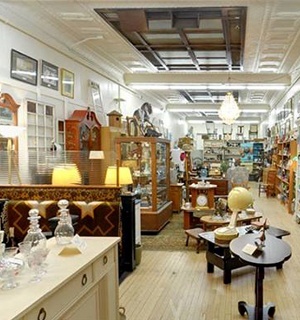 There, you’ll find niche clothing stores, gift shops, bookstores, candy stores and home décor dealers. The city has maintained its original 1950s look, which makes exploring Railroad Street truly memorable. With the help of this sophisticated gift shop, buying gifts to take home to your friends and family has never been easier. Dory & Ginger has curated local products that you’ll have a hard time passing up. Popular for their collection of lifestyle products, such as soaps, bath bombs and candles, Dory & Ginger has something for everyone. Bonus! Use the code GETAWAY10 for 10% off an online or in-store order. Listen to our free Spotify playlist! Click here for the perfect soundtrack to experience the Berkshires from some of our favorite artists! You received this email because you are subscribed to Newsletter from Engaged Media, Inc..